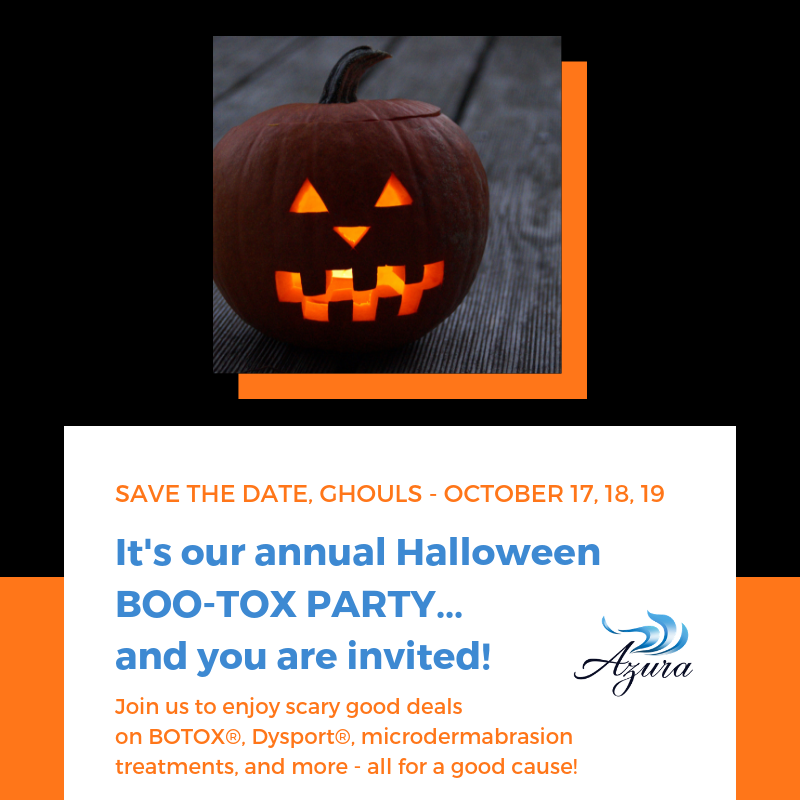 It’s finally fall and we have some scary good deals for you this month at Azura plus we are announcing the dates for our Boo-tox event benefiting the Western Wake Crisis Ministry – check them out on Facebook! 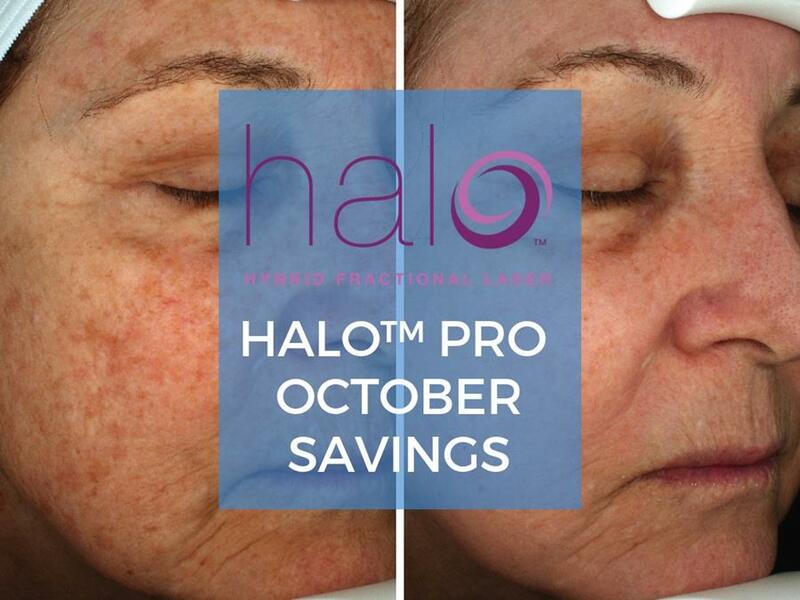 Keep reading for the spooky scoop on this month’s special offers including deals on Sciton Joule – Halo™, superficial spider veins treatments, BOTOX®, Dysport®, and more. On Wednesday, October 17, Thursday, October 18, and Friday, October 19, visit Azura Skin Care Center and bring a minimum of three cans of food or non-perishable items for Western Wake Crisis Ministries and get Botox for $11.75 per unit or Dysport for $3.50 per unit! Plan ahead and you’ll be able to boost your savings when you schedule a microdermabrasion or dermaplaning treatment prior to your Boo-tox for only $50! Botox not your thing? Bring a minimum of three canned food items to donate and receive $15 off any massage service all month long. Think Botox might be your thing after all? Check this out! Our talented aestheticians love treating spider veins and they can’t wait to help you ward off this unwanted spooky look. 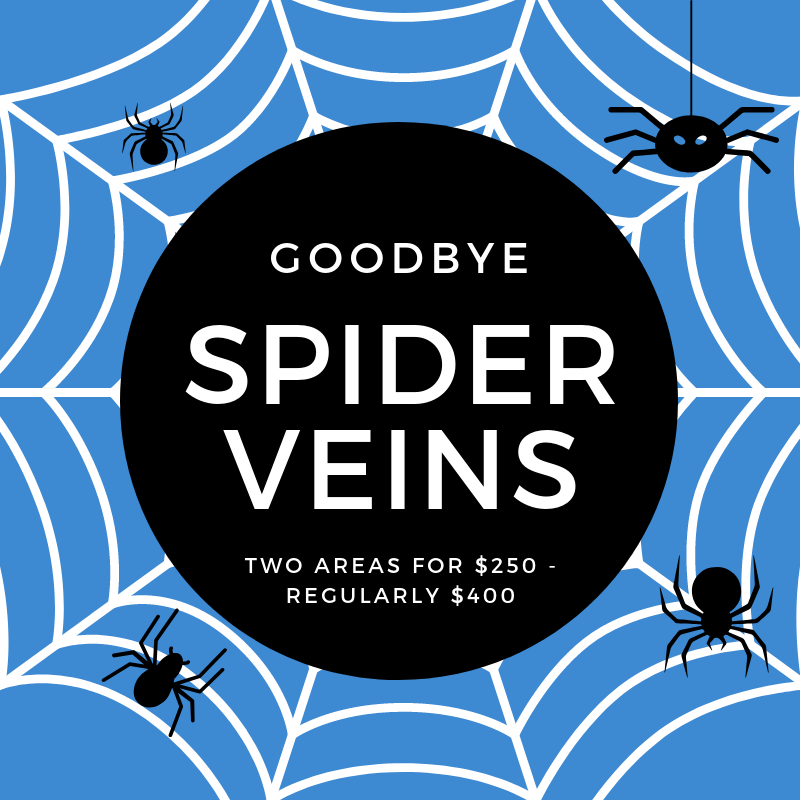 Schedule your spider vein treatment this month at Azura and get two areas for $250, normally $400. This month only enjoy special savings on this laser treatment:Halo Treatment ($1250) + Complimentary Follow-Up Oxygen Facial (2-3 Weeks After) ($169) + Complimentary Elta Skincare Kit & Sunscreen ($67.50) for $1,250. You save $236.50!